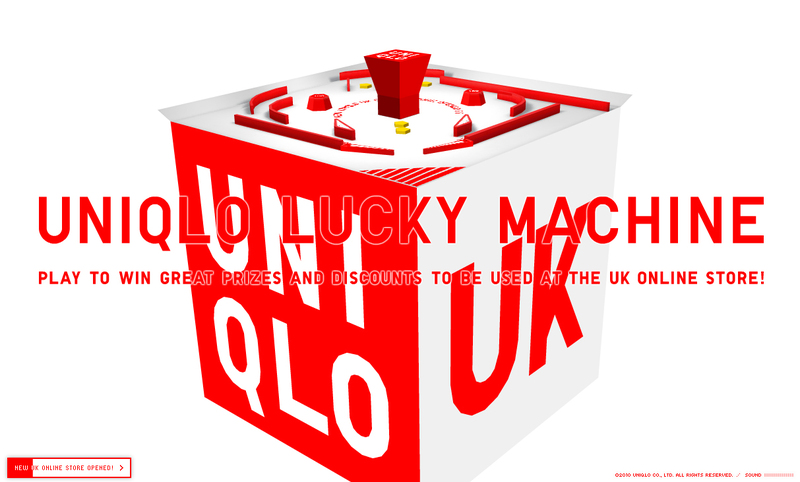 Japanese fashion line Uniqlo has relaunched its UK site with the Lucky Machine, a pinball flash-based game offering players the chance to win huge prizes and online UNIQLO products. The Lucky Machine game offers UK customers the chance to win a £1,000 cash prize, as well as online discount vouchers from £5 up to £100. There are three stages of play and each customer is given three balls. To get more balls, players simply have to invite their friends to play the game via Facebook or Twitter. The more friends you invite, the more chance you have at winning! LUCKY MACHINE was launched on the same day as the new UNIQLO ecommerce website on September 9 and will run until October 1, 2010, with the discount codes issued valid until the end of November. 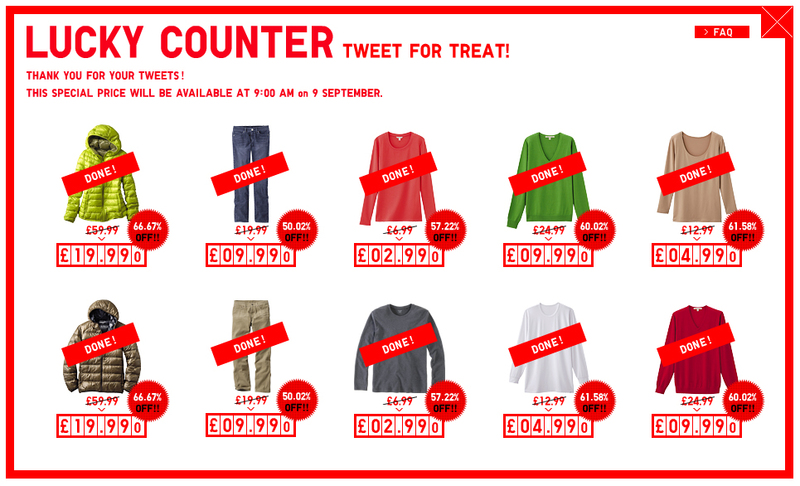 The Lucky Machine feature adds to the earlier Lucky Counter campaign in which users of the site were invited to vote on items that should be reduced in priced for the re-opening on September 9. Their choices were associated with Twitter messages.